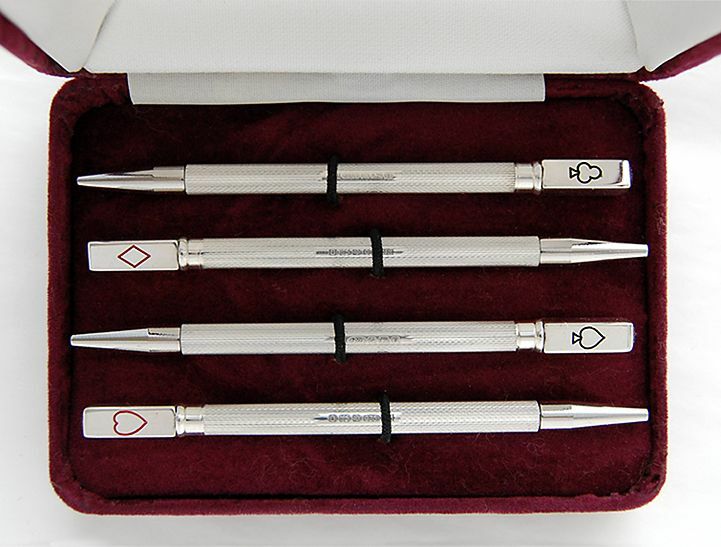 These beautiful twist action silver pencils are handmade and hallmarked in England. They come supplied in sets of 4 in a hinged velveteen lined box. 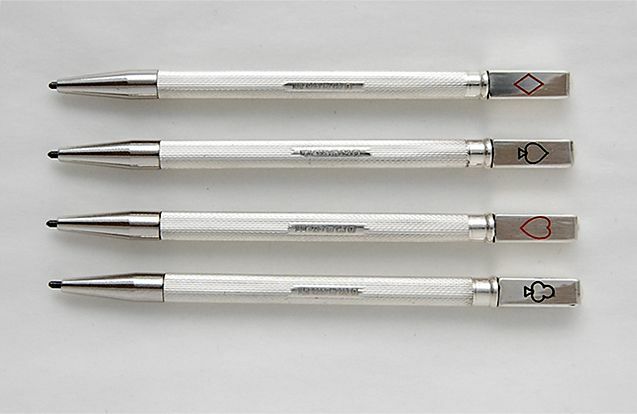 Each pencil is engraved with a coloured logo for each card suit. 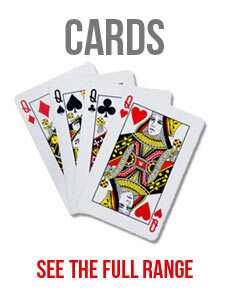 A wonderful gift for any Bridge or card player. 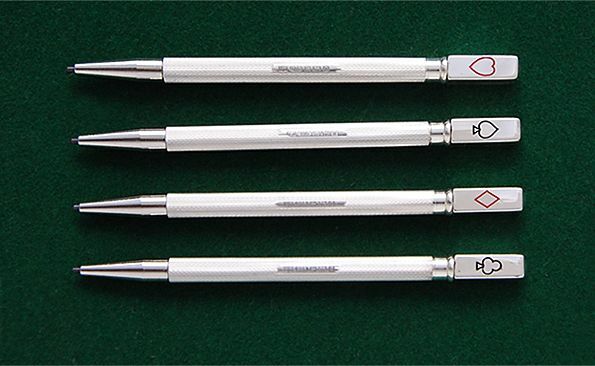 They make a wonderful present suitable as a retirement gift or for a special birthday.